From Soldier- 76 to Ana, Tracer to Symmetra, discover the history behind Overwatch?s heroes. How did Bastion become part of the team? Why did Ana Amari disappear? Where did Tracer get her catchphrase? 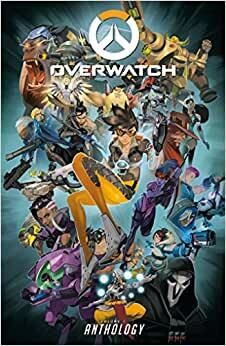 Learn all this and more in this hardcover anthology of the first twelve issues of Blizzard?s Overwatch comics, written and illustrated by an all-star creative team including Matt Burns, Robert Brooks, Micky Neilson, Nesskain, Bengal, and more. Whether you?re an Overwatch novice or a Grandmaster, this is an essential companion! Reveals backstories and new details about Overwatch?s heroes. 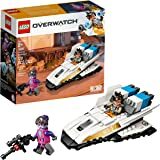 Essential companion to the international best-selling game Overwatch! Overwatch has won 100+ Game of the Year awards! Overwatch is a global phenomenon with 30 million players! 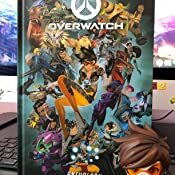 Includes short stories by World of Warcraft- Chronicle writers Robert Brooks and Matt Burns!Series Overview- This collects issues #1-#12 of the web-comic Overwatch! Your favorite Overwatch heroes? backstories are revealed in this anthology from Dark Horse Books and Blizzard Entertainment ! Best known for blockbuster hits including World of Warcraft , Hearthstone , Overwatch , the Warcraft , StarCraft , and Diablo franchises, and the multi-franchise Heroes of the Storm , Blizzard Entertainment, Inc. (www.blizzard.com), a division of Activision Blizzard (NASDAQ- ATVI), is a premier developer and publisher of entertainment software renowned for creating some of the industry?s most critically acclaimed games. Blizzard Entertainment?s track record includes twenty-one #1 games and multiple Game of the Year awards. The company?s online-gaming service, Battle.net , is one of the largest in the world, with millions of active players. Great little book with all the overwatch comics released so far in a hardbound package. Art looks good and quality of paper is nice too. 5.0 out of 5 starsCheers love! Absolutely beautiful! I can't believe how amazing this is, and how good of a value it was! The hardcover feels great, and looks even better. It has some of the best comics so far, and even some awesome concept art! 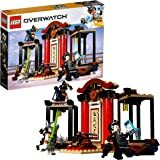 A must have for any overwatch fan. I'm writing this review not as a fan of the game . I do not currently on the game because I'll admit I'm not good at it therefore it is not fun for me. I do however love it's colorful cast of characters and their individuality, how each character feels alive. 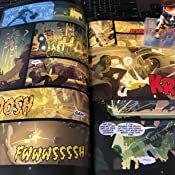 This comic series was given for free by blizzard to digital readers a couple months back and while I did read them then I still preferred a physical book. I have no problem buying this because again this delves into those characters more in-depth since the game itself has no real story. Any one else in my predicament, I feel like I'm not alone in that, will also enjoy seeing these characters fleshed-out and their histories sort of explained. I hope this is a continued series and that we get more and more from The Amazing writers at blizzard as they are quite the Masters at what they do. So, big fan of Overwatch here. I picked this up super cheap at a time when the low price was well below the release price. Amazon always honors the lowest price on pre-orders, so it was cheap! I found this to be a neat extra for me. Overwatch is a great game, but the game itself focuses on solid gameplay with 0 story. It was nice to understand a little more about the characters and has been a long time since I have read any comics.